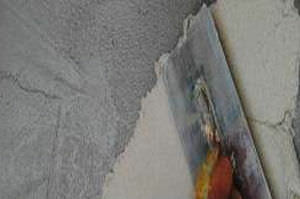 Solvent-free (non-toxic), bicomponent resinfiller in paste form, based on modified copolymer synthetic resins, charged with hydraulic binders.DEGA® ROCK 25 :Solvent-free (non-toxic), bicomponent resin filler in paste form, based on modified copolymer synthetic resins, charged with hydraulic binders, fibrous and quartz lamellar extenders with fine and controlled grain size. Its thixotropic characteristic makes it suitable even for vertical applications without dripping. 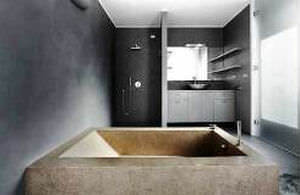 DEGA® ROCK 50 (intermediate top coat plaster) of a good degree of hardness and insensitive to water, gives the finished floor a natural rocky stone look. 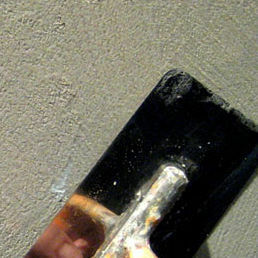 If you wish to smooth the surface, we recommend a coat or two of DEGA ROCK 25 (fine top coat plaster) following mechanical sanding of the surface and the preventive application of DEGA® PLAST PRIMER. They can be used specifically in the floor-covering sector where a good degree of hardness is required because of intense foot traffic such as in bars, restaurants, warehouses, supermarkets; they can also be used for outdoor flooring such as terraces, porches, pool decks or rooms that are washed with water, e.g. bathrooms, changing rooms, showers, etc.